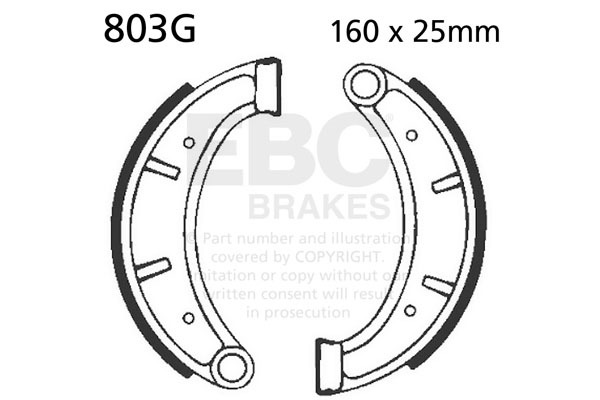 EBC Brakes® motorcycle grooved replacement brake shoes have angled grooves that are designed to channel away water, dirt and dust from the braking area. This helps to improve the braking and extend the life of the shoe and brake drum. Grooves are made using pressed steel platforms for ATV brake shoes or with high pressure die cast aluminium platforms for two wheeled machines.